"We don’t really need to study the Allende Letters again. We have all we need to know about Aztec..."
...about whether or not what is known about them provides evidence for spaceships or not. On the old cases I am interested in, I can find no research at all having been done beyond whatever is accepted as a 'case closed' (such as Carr on Newton, GeBauer, and Scully). These accounts that 'close' a case, are usually anecdotal and undocumented, but they make good stories. When I read them and ask basic questions, looking for the facts as to who, what, when, where, those facts are not forthcoming. I assume because they would not prove one way or the other whether the object in question was a spaceship or not. The youngsters are not well served, and I do not blame them reopening closed cases, although, they too have a way too narrow a beam of focus, just like the geezers. "...and if Scott Ramsey really spent a half a million dollars on his research, I can think of better areas that he could have explored with that kind of money." I hope you are not suggesting it could have been better spent on Roswell. But this idea of people, organisations or governments spending, or wasting, money on useless things pops up everywhere in our world. If an individual has the money he is entitled to spend it on things that take his interest or fancy. Maybe spending ANY money on researching paranormal subjects is deemed a waste of money. Certainly mainstream science says so. Teleportation is, I think, the word to describe disappearing ships like the one in THE PHILADELPHIA EXPERIMENT. Anti-gravity is another. I guess there are a few people who have spent time and money researching both of these. 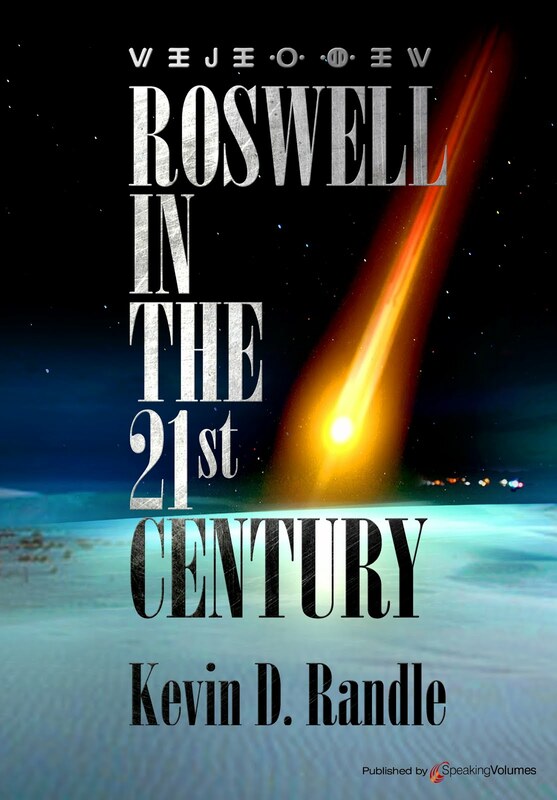 How much money has been spent on Roswell since 1978, I wonder. Yes, I include USAF expenditure as well. I fear I have lost your point. Are you suggesting that there is something to the Aztec case beyond the "anecdotal and undocumented" testimony to suggest there is? Newton and GeBauer were convicted of fraud in Denver (which has nothing to do with the Aztec case, other than it was Newton who told the Aztec story first) but it says something about the character of the witnesses. What facts are not forthcoming in the Aztec case? If the youngsters wish to look at some of these old cases, more power to them, but before we "reopen" them, let's make sure that there is something there beyond the smoke and mirrors. If you wish to learn how not to investigate, read Scott's book. I, and many of those who visit here, are monumentally uninterested in your opinions. You are exposed as one who KNOWS there is no alien visitation and therefore anything that suggests otherwise is immediately rejected. You have no interest in evidence, no interest in learning anything new, and there is absolutely nothing that I, or anyone else, could provide to cause you to take an unbiased look. I take your response to indicate that Scott Ramsey could indeed have spent his half a million dollars more wisely in assisting your own team in an exercise that science is "monumentally uninterested" in. You sound embittered that he chose to pursue another case instead. As usual you understand nothing. I thought Scott might have bought a nice house, a new car, vacations to places other than New Mexico. Your speculations are without merit. Correction. I wrote "such as Carr on Newton, GeBauer, and Scully". Instead I meant Cahn, not Carr. Kevin, what I mean is if one has a focus on one thing only, one tends to miss everything else that does not appear to have anything to do with what one is focused on. Newton and GeBauer can be ignored by advocates because there is no route through them to ET (they were con artists). However, skeptics like Newton and GeBauer because they are a route to no-ET (they were con artists), and most ET advocates concede the point. Not being on either team, the two being con artists is merely a biographical detail to me (What? If they were gentlemen of gravitas and probity, we should give more credence to their story of little men from Venus?). Here's a fact, the doodlebug is described independently twice (MAXW-PBB7-1060 and Cahn's Flying Saucer Swindlers, per the trial). There is no apples and oranges about them. They are as alike as an apple and a lump of coal. Since it doesn't immediately refer to ET, one way or another, nobody is interested. And worse, it points to a weakness in the documents both advocates and skeptics accept as gospel -- Cahn's two articles. At their trial, Newton and GeBauer disclaimed any knowledge of the purported doodlebug in evidence. I believe they had witnesses in support of that. What if the one in evidence wasn't their device? So, I've been following that trace, and it has led to some other interesting facts. None of them are evidence of ET or no-ET, but it is evidence of something going on regarding the saucers. Aztec, NM hasn't appeared, though. Completely agree with your article. Unfortunately, as a subject that lies outside the current paradigm,ufology lacks rigorous peer review mechanisms for publication (apart from a few exceptions such as the Journal for Scientific Exploration)and anyone can put up anything on the internet. This is quite characteristic of the 'pre-paradigm' stage as described by Kuhn in his seminal work 'The Structure of Scientific Revolution'. Suspect we just have to live with it and focus on putting together a solid core of data and theory for the future. Also think you are right to highlight the Fish star map as something worthy of revisiting. It certainly needs a specialist and is beyond my own area of expertise to do properly but I suspect it may well come out quite interestingly when done properly. Your point on the Hill's map was first pointed out in an article Goodbye Zeta Reticuli by Brett Holman published in the November 2008 Fortean Times. Unfortunately, it is not on line. I understand your point now and would say this... Cahn was important in exposing the flaws in the Aztec crash. Robert Spencer Carr, in the mid-1970s, claimed he had talked to five witnesses who told him the crash was true but he refused to identify them and therefore, his claim is without merit. Coral Lorenzen of APRO, talked to the man who had been sheriff in Aztec in 1948 and who said it didn't happen. She talked to the sheriff's brother, who later became sheriff and he said it didn't happen. Mike McClelland wrote an article for Official UFO, and he quoted the editor of the Aztec newspaper in 1948 and he said it didn't happen. William Steinman quoted Harold Dunning (whom he did not identify other than by the man's initials) and he said it didn't happen, though Steinman suggested, without any evidence that Dunning was bought off or threatened by the CIA. Ramsey brings two new names to the case, but both are dead and one was contaminated prior to Raamsey entering the picture. Both of the corroborating witnesses are unavailable, so again, we don't have much in the way of evidence. If you trace the original story back, you arrive at Newton... and Scully, who, in his first newspaper column about it, doesn't seem to take it seriously. So, the point is that we geezers have looked at this case for a very long time and we find nothing to support it that can be verified, corroborated or tested. And the changing nature of the first-hand reports argues against authenticity. Kevin: "I understand your point now and would say this... Cahn was important in exposing the flaws in the Aztec crash." We ought not to need Cahn or anyone to enlighten us that the story of a crashed saucer full of perfect little men from Venus was found in Aztec has flaws. (I haven't followed recent Aztec storylines closely, but I assume the little men are now Greys, and I assume other 'upgrades' have been made). What Cahn didn't do was prove the Aztec tale was the come on and closer of a doodlebug scam. In this scam, what makes the deal is a proof of concept demonstration: the doodlebug locates something. So, for me, the subject worth researching is how and why a saucer tale got appended to a perfectly normal doodlebug scam. I think the Colorado trial, just like Aztec, is a distraction, and other venues are far more intriguing. Robert Spencer Carr's bio is interesting. 3) when people do change a belief, they tend to keep it to themselves for fear of giving "comfort to the enemy." On a personal level, this may be a matter of pride: not wanting to hear "I told you so." For those who have published their beliefs, admitting doubt on even small isolated matters threatens the validity of the larger belief system. I have to wonder if these tendencies explain why discredited or unsubstantiated UFO claims never die, and why geezers get some of the blame. 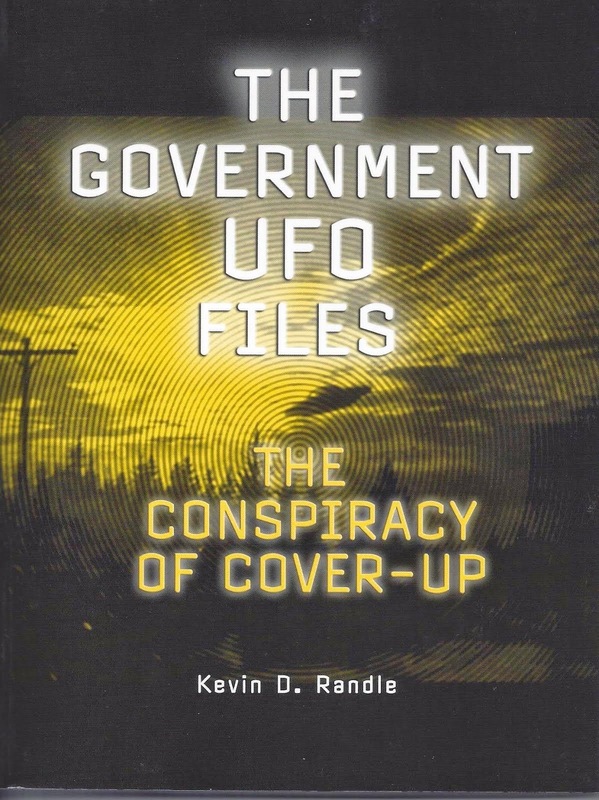 UFO claims get a lot of uncritical coverage at first; there is a tendency to consider the assertion to be literal and true until proven otherwise; when a UFO is identified or the claim is shown to be without foundation, this either gets very little play or believers subject the explanation to severe criticism they would never apply to the claim itself (some believer eventually escaping into the pure denialism of conspiracy theory). 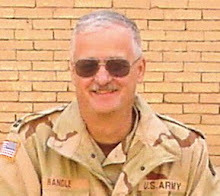 That's why I like this blog: Mr. Randle regularly expresses warranted doubt about UFO evidence. I blame the geezers for not providing the same, for not showing strong leadership when it comes to epistemic values. Well said, Terry. For me, the famous Carl Sagan still says it all: Extraordinary claims require extraordinary evidence. End of story. These irrational belief arguments cut both ways. UFO skeptics/debunkers can also cling to discredited "explanations" despite overwhelming evidence or logical arguments to the contrary. Whilst I agree with much of what you say I suspect that the criticism of the 'geezers' for not estalishing a settled position on many aspects of the UFO phenomenon is asking for something that hasn't actually been possible to achieve to date. A 'settled position' implies inclusion in the dominant paradigm which has not been achieved. In that stage of development immature paradigms compete for dominance within a given 'pre-scientific' field. Whilst the 'exceptional evidence' criteria suggests it is ultimately possible for new ideas (i.e. radically new) to break through on their own merit in practice this generally requires a crisis in the existing paradigm, which at the moment might be summarised as there are probably lots of microbial life out there and perhaps a few civilisations, but far too widely seperated for contact to be at all likely at sub-light velocities. Breaking that paradigm would need evidence of contact so blatant and widespread that it couldn't be rationalised away and I'm not anticipating that anytime soon. Perhaps the best that can be achieved is for a subset of researchers to approach the topic objectively and rigorously, preparing a a particular 'school' of thought within the wider field for when or if the current dominant paradigm hits the buffers. Hello Kevin, and Happy Holidays to all. I don't have access to my old HDD that had all the Blue Book data I had already catagorized and filed, so I will have to go from memory. I apologize for any missed or slightly incorrect information. The stories are just too close for me to ignore. Secondly, the doodle-bug story is also told by someone else. This person had family ties to important people in the government, and military. He wrote a story called, "The Invasion Of Planet Earth", or something similar, which he mailed to the UFO Program in Dayton. (I will revisit the archives to find the documents this evening) He presents different tales regarding his connections to the saucer story, in general. For instance, he saw a saucer while hiking on his families land, in the twenties, In another story he tells of meeting a "Nordic" stranger on a train. There, he is told of a device (doodle-bug) which could be used to find oil. It is obvious he thinks this stranger might not be from around these parts. Anyway, these are just two other items that are not mentioned, by anyone, but that seem (to me) to be connected. I had always wished for a time I could devote to exploring this more. Thanks for your work, and years of devotion.